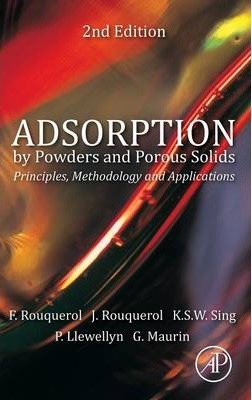 The declared objective of this book is to provide an introductory review of the various theoretical and practical aspects of adsorption by powders and porous solids with particular reference to materials of technological importance. The primary aim is to meet the needs of students and non-specialists who are new to surface science or who wish to use the advanced techniques now available for the determination of surface area, pore size and surface characterization. In addition, a critical account is given of recent work on the adsorptive properties of activated carbons, oxides, clays and zeolites. Jean Rouquerol is director of the Centre de Thermodynamique, and a leading authority on adsorption thermodynamics and the methodology of thermal analysis and adsorption calorimetry Francoise Rouquerol leads a research team at the Centre de Thermodynamique et de Microcalorimetrie and the Centre National de la Recherche Scientifique in Marseille, France. She is also a senior professor at University of Provence. Kenneth Sing is an emeritus professor of Brunel University and visiting professor at Bristol University, both in the UK. He is co-author of the well-known book Adsorption, Surface Area and Porosity.